A question we should all ask ourselves. I don’t believe any of us woke up one day deciding we will no longer be available for other women who may need us. Especially if we have the means to help them. So what happened? When did we get to a place where we became so selfish? When did we become so consumed in our own lives that we ignore those who need us? When did we stop having each other’s backs and why are we so judgmental prior to knowing “HER” story? Have you ever prejudged a woman prior to knowing who she was and later discovered she’s actually a loving person going through a difficult time? I’m guilty and I’m pretty sure we all are. As a matter of fact I prejudged a woman I recently met due to the circumstances of how we met. And today I honestly could not imagine my life without her. It is so easy for us to be dismissive and we could be blocking a blessing. We all have experiences from our past that we regret. Those experiences are what we should reflect on prior to passing judgement on others. What if your past somehow resurfaced and all those things you’ve done that you’re not so proud of were on display to the public? You were fortunate enough to avoid being exposed. Some weren’t so lucky. Imagine what the world would be like if instead of rolling our eyes we had enough humanity to help that new mom we see struggling with a crying infant. Or give encouraging words to that woman trying to calm the toddler throwing a temper tantrum in Walmart. Picture how different things would be if instead of turning up our noses we stopped to ask that flustered business woman who bumped into us if she was okay.What if we gave her two minutes to vent about her day, prior to spewing her exhausting work day on her family. Maybe her children were excited to tell her about their first day of school and she is about to ruin it. Envision how much of an impact you could make by giving that single mother a few moments to herself just to breathe and possibly have an adult conversation. And what about the woman who wants to have children but can’t? Do we just allow these individuals to fight alone? These women live in our neighborhoods and we’re so oblivious we walk past them daily without even speaking. There is so much wisdom and love around us and we have become so numb that we’ve gotten to a place where it requires too much energy to smile at a stranger as we walk by. These are a few issues that we struggle to overcome daily. Its no secret that we wear many hats and live in a very sexist world. So explain to me why we are fighting for our rights to equality and still have the energy to fight one another. Shouldn’t we have each other’s backs? Statistics show that we as women make $8,000-$12,000 less than men even if we have the same experience\education. Society expects us to do a helluva lot with very little. And don’t forget to act as if you’re happy while doing just that. When you don’t smile you’re labeled angry or disgruntled. My question is if we are already fighting for equality then why are fighting each other and not empowering one another? We’re already expected to enjoy cooking cleaning and raising our little ones. And while most of us do, we are also expected to pick up the pieces if dad decides he doesn’t want to stick around and help out while maintaining a full time job, and making it to those PTA meetings etc. And to top that off my “SISTER” who doesn’t know who I am and hasn’t walked one day in my shoes is constantly judging me. When does it stop ladies? I started this blog to encourage others as well as myself to remember their humanity and maybe we can start a sisterhood in the process. We need to make ourselves more available. Be the sister you would want other women to be if you were the one having a hard time. We are not perfect but we are stronger together. Just to tell you all a little about myself. I was born and raised in a small city, Port Arthur, Tx. I now reside in Houston. I served 8 years in the Air Force and I have a 9 year old son who is going on 20 and I just married the man of my dreams. I have been writing since I was 12 years old and have published 2 books of my first series titled The Dirty Truth. My Sister’s Keeper was partly inspired by MLK Jr. He had a dream of equality as do I. But I also dream that we as sisters will get to a place where we never allow each other to fall behind. I dream we will get to a place where we encourage and love one another. 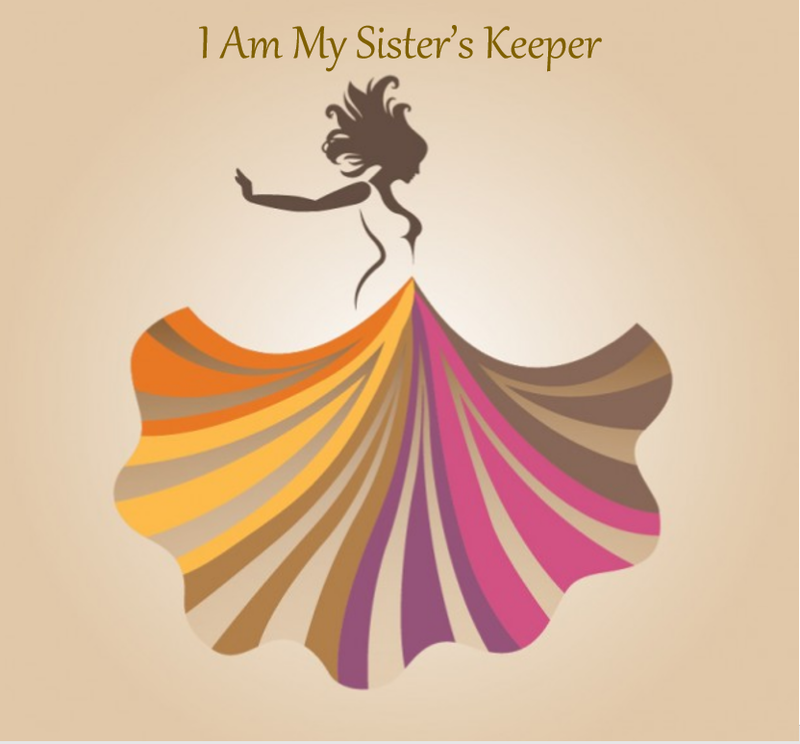 I would like My Sisters Keeper to grow into an organization so that we can all be connected to one another and work together for the good.My dream is that My Sisters Keeper will be in your local neighborhoods one day. Sisters who have each other’s backs. In closing, I feel we should all aspire to be more like the strong women in our lives or those we look up to. Women who lend a hand to those in need instead of passing judgement. Women who motivate each other and not tear each other down. Women who know how important it is to build someone up when they’ve reached rock bottom. Women who also acknowledge that none of us are perfect and maybe we will be the individual needing a lift one day. Please share this blog with your friends and loved ones. Please spread the word and feel free to comment.